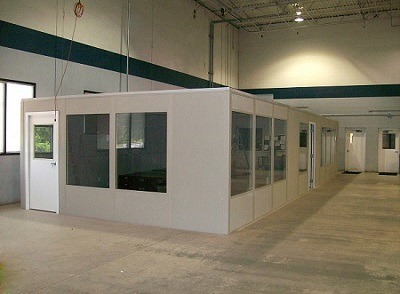 When it comes to pre-assembled buildings, you can’t get any better than Panel Built. Here are Panel Built with our exclusive panel system we’re able to provide some of the best pre-assembled buildings in the industry. We are always seeking to improve our products, and that includes the materials. We use only the best high quality, low-cost materials for our buildings. We use a variety of materials to construct our buildings using our exclusive panel system. For the main building materials here are the top three, and information on why we prefer to work with them. Steel is a popular building choice for many companies, and not just because it’s more widely available. Steel is very durable and low-cost. Unlike other building, materials steel can withstand many weather conditions. Including heavy snow, rain, earthquakes, and even wind. Place any other type of building material in those conditions, and repairs will have to be made to it right away. Rust is usually one the main factors people worry about when it comes to buildings made out of metal, but this can be accounted for easily. Usually, a special substance goes on the metal such as aluminum casing to keep the metal from rusting. This keeps the building in good shape but doesn’t take away from how durable it is. Buildings made out of metal can be painted to look like wood, or even have brick siding too. They’re comfortable, durable, and cost-effective too. Embossed aluminum is an aluminum sheet that had a wide variety of application and uses. The embossing process is done to reduce the reflectively of the metal. We do use embossed aluminum with other building materials, but this is a popular one too. This is because embossed aluminum is a very versatile metal. It’s can be used to protect steel to prevent it from rusting. It’s very durable, and when it’s embossed this only increases the durability of the metal. Aluminum is also cost effective,and is used in many other building materials. The thickness of the metal sheeting can vary between each sheet. Due to its low cost and high durability, at Panel Built we use embossed aluminum in many of our panel systems. Aluminum can be easily adjusted to suit the width and thickness as a building material too. Making it a highly sought after building material that pairs well with steel construction. For our AA wall panels our embossed aluminum is .021 thick, and the entire wall panel is 3” thick itself. 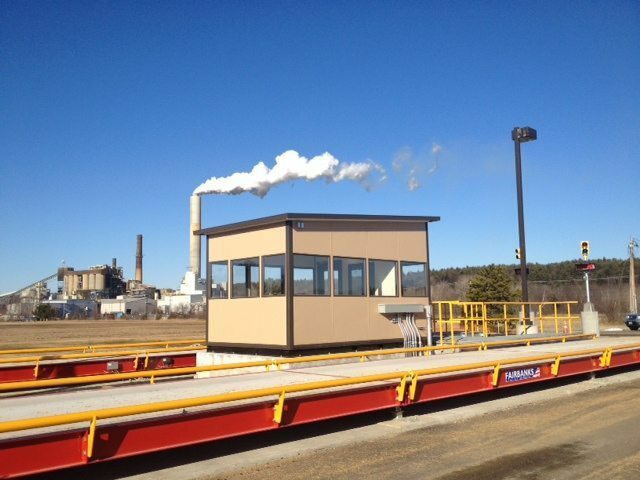 So you can rest assured you’re still getting the best materials out of your in-plant office or building. Polystyrene is another high-quality building material we use in our panel systems. Polystyrene is a synthetic resin that is the polymer of styrene and s used as a lightweight rigid film or foam in building systems. Our version of polystyrene is very dense, and we use it as a core. It’s often 2 7/8” thick, and very dense. What does this mean for our building panels? Due to this dense, lightweight core, our panels are very lightweight. Our dense polystyrene is often sandwiched between other building materials such as steel, embossed aluminum, or a mixture of the two. Due to its lightweight construction most of our panels only way about a pound or more with polystyrene as the core. Polystyrene is a cheap, durable material we use often in our construction. Our AA wall panel system has an aluminum extruded binder post with a snap cover ever 4′ to house any electrical components the building may have. Polystyrene is a rigid plastic, and this means it doesn’t conduct electricity. It’s why it’s one of our preferred building materials due to its nature, and makes it safe for housing electrical components as well. Here at Panel Built we always believe in moving forward. We’re constantly improving our products and finding new ways to make them better for our customers. We deliver cost-effective solutions for many customers, along with a wide variety of products. Just to show that we back up our products and believe in the nature of our work. We offer a free drawing and quote for our customers so they can know what to expect. We always look forward to hearing from one of our customers. Feel free to contact us at any time to speak with one of our friendly Panel Built representatives.